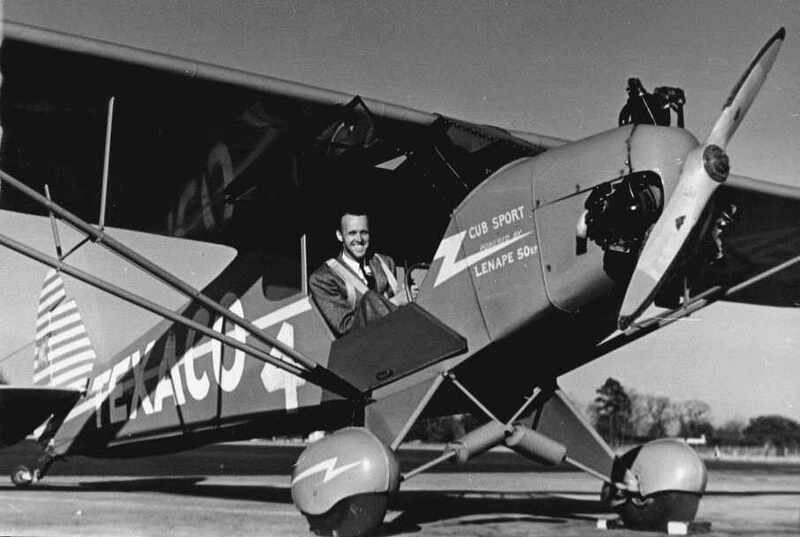 Since leaving my own aviation career in the early 80's I have gotten fewer and fewer queries about my father and his famous flying history, but they still pop up regularly, a tribute to his impact on aviation. I have put together a combination of what I and others remember along with some of the images and artifacts that have ended up in my possession following his death in 1971. 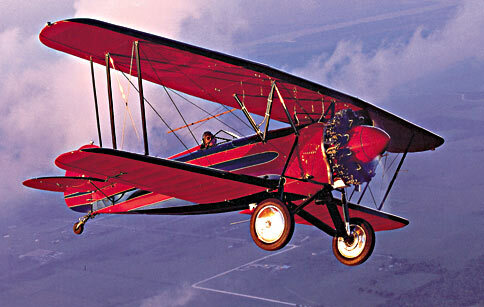 Unbelievably, Bevo's Waco TaperWing ATO, N-6714, pictured above, has been fully restored and is still flying as documented by the color image of it in it's current state. 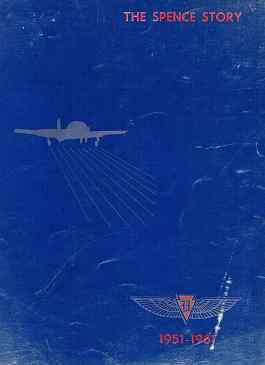 Stumbled across the RARE Aircraft Ltd Page who's pages have a full history of this restoration project. During WWII, he began training pilots for the Army Air Corps from a base in Orangeburg, SC, a critical war job which embarrassed him by the fact that he was prohibited from joining the Air Corps himself and flying as a fighter pilot because of his value training other pilots for the war effort. One sample of the trust that the military placed in his ability was the period of time that this civilian school trained pilots using the USAF P-51 Mustang fighter aircraft. These military contracts spanned his entire life including the Air Force contract during all of the 50's at Spence (see below) and expanding to include US Army fixed and rotary wing training at several sites around the south including Ft. Cambell, Ky and Ft. Rucker in Alabama. 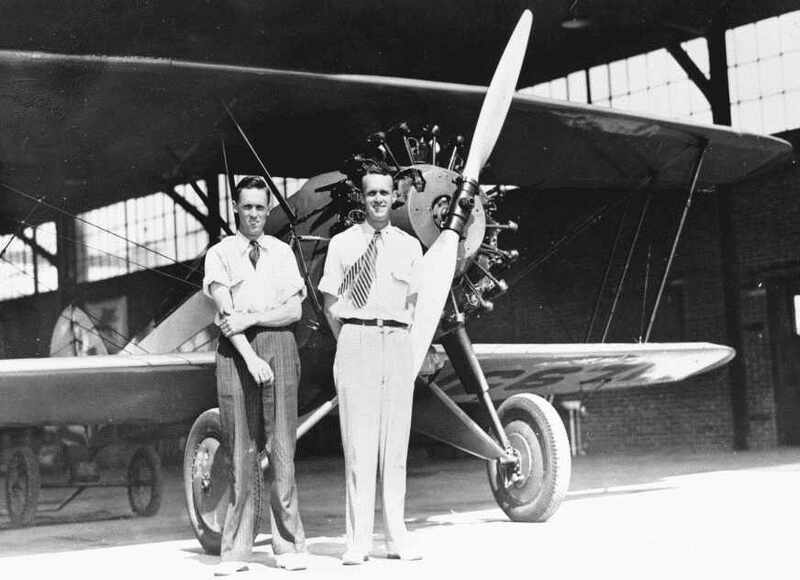 The civilian part of the business went through many forms, at one point, his Hawthorne civil airport operations spanned most of the southeastern United States but economics contracted it back to a single operation at Charleston's municipal airport following the end of WWII. 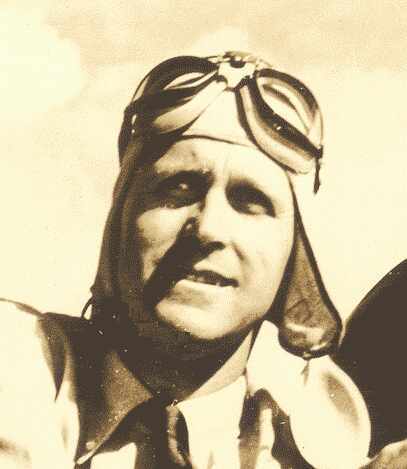 Even though his flying began in the era of leather jackets, goggles and long scarfs, he pushed hard to bring a professional business image to aviation, not only by always flying exhibitions in a dress shirt and tie but wearing a business suit as he would walk out to the Bücker to perform his air shows, carefully folding the suit jacket and stowing it in the baggage compartment so that it would not be ruined by the oil spray from the heavily taxed radial engine. In the 40's and 50's Hawthorne sold and serviced both Piper and Beech aircraft, and, despite the fact that his aerobatic exhibitions in the first "V" tailed Bonanza dispelled the public's concern over that aircraft's airworthyness and later sold the T-34 Mentor to the Air Force for use as a primary flight trainer, Beech forced him to choose between them and Piper in the late 50's which severed his relationship with that firm. Even so, he spent a large amount of his life in the "C" model Bonanza N8983A commuting almost daily between the different needs of his business ventures that were located in Charleston, Washington, NY, Kentucky, Georgia, Alabama and Florida and demanded at least weekly trips to each and many others to points all over North America. 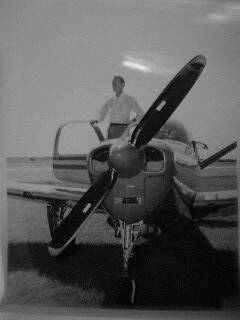 Click here for more on the Beechcraft Story. My first memory of traveling with him was in a twin engined Cessna "Bamboo Bomber" from Orangeburg to Charleston, but over the years I received invaluable educations in aviation, geography and even sociology by traveling with him for many thousand miles in the Bonanza when he took vacation routes that varied from a complete circumnavigation of the continental US in the early 50's to several flights deep into the interior of Mexico, Guatamala and (the then named) Belize in addition to many, many flights around the southeastern United States receiving a solid education in flight discipline and "E6B" dead reckoning naviagation without the aid of radio navigation aids, one of the reasons I am so appreciative of the GPS navigation available to today's pilots. Spence Air Base was central to Bevo's life during the 1950's as Hawthorne's Air Force Primary Flight Training contract school there was the center piece of Hawthorne's multiple business locations during that decade. In addition to relocating our family and spending the majority of his time there, he tried to performed an air show so that every class that went through the school for over ten years could see it, so it was probably the site were the highest number viewers were witness to his aerobatic skills. Spence and Moultrie are also where I grew up and still consider "home" although it has been decades since I have been able to even visit. 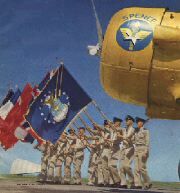 When the USAF decided to cancel it's civilian flight training program and closed Spence in 1961, Hawthorne created a fifty page history of the people who worked at Spence. I just stumbled across a copy and created a PDF file to preserve the booklet. If you were at Spence or had someone who was there at this time, it appears to be an excellent source of pictures of almost everyone who worked there during that decade. Click on the image below to download the pdf. It's a huge file... 26 megabytes, so, depending on your system it could take a while to download. Bruce Watson created a great web site showing the history of this quasi commercial, semi military "air base." However, links die and sites disappear and Bruce's site appears to be gone with a "this domain name is available notice. The good news is that the "wayback machine" archived his site and it is still available here. Note that while most links work, some do not. In any case, if it's important to you that the site was saved by the"wayback machine" please consider donating to their cause. With that fact in mind, most of the other links have died as well including http://www.boshears.com/History.htm http://www.avweb.com/other/eaa9943.html If you are interested, they might be available at the above address. By the way, the "yellow" in the title above does have a significance... as shown in the picture and will be appreciated by those who were there during the "T-6" years and remember the huge expanse of concrete colored yellow by hundreds of AT-6 "Texans." One of the more interesting links, and a concept that was new to me, is Gerry R. Rivera of Orlando, FL creation of Bevo's Buecker as a downloadable "kit" to allow the Buecker to be "flown" while running Microsoft Flight Simulator 2000 or 2002. Mark Fisher surprised me as well on his www.x-plane.org page with a Flight Simulator "Object" that adds another unexpected, but to me, very familiar, dimension. Please Email me with your comments and corrections. To Return to Bev and Rebecca's Home Page, Click Here.